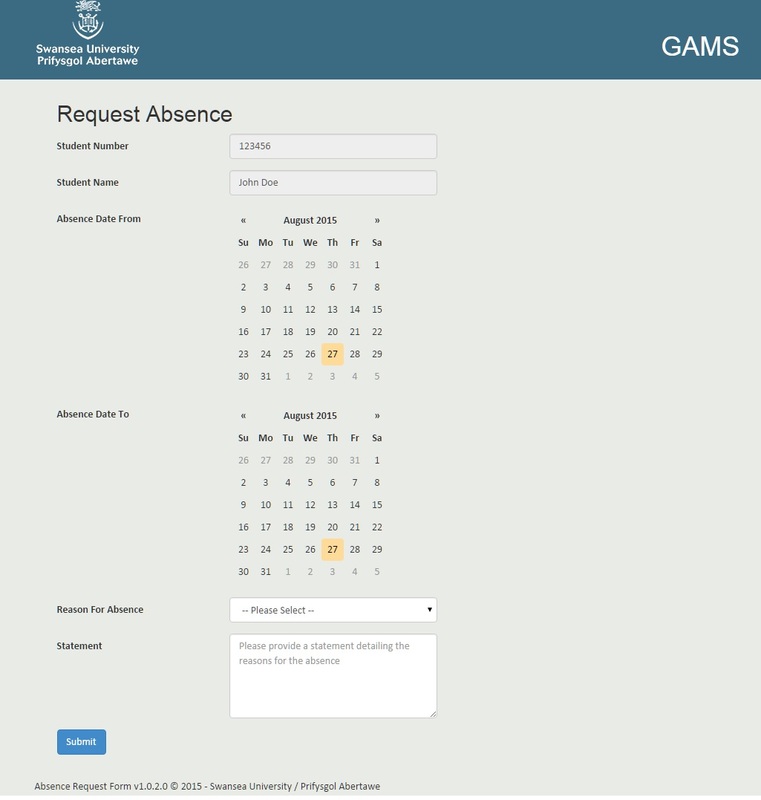 Swansea University FAQ - How do I submit a GAMS Absence Request? Select the absence dates by clicking on the relevant date in the calendar. 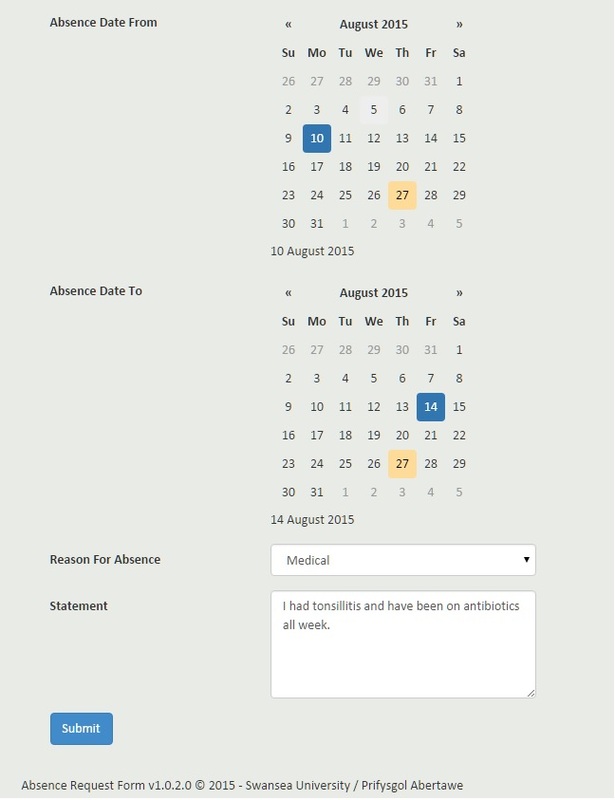 For a single days absence, select the same date in From and To fields. Enter a short description of your absence in the Statement text box. Your absence request has now been submitted to the relevant contact. If you need to make another request, click Request Another Absence and repeat the process.